Two of Craig Goodworth’s root pieces installed in a gallery. He does a very nice job using natural materials and encouraging the viewer to look at them from a reverent and all together different perspective. Here is the video showing you some of the production of Craig’s work, “Liminal Ground” Craig does a wonderful job creating a sacred space using art and installation as a tool to draw people together. 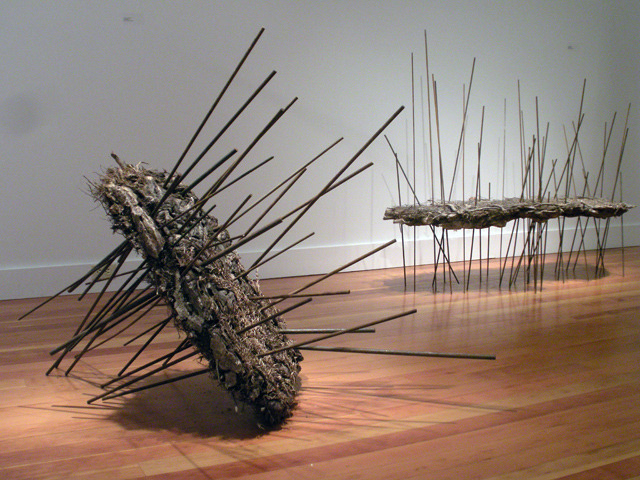 This entry was posted in Artists of Interest and tagged Art and Christianity, art of faith, artist, artist of faith, Craig Goodworth artist, instalation art, Liminal Ground. Bookmark the permalink.